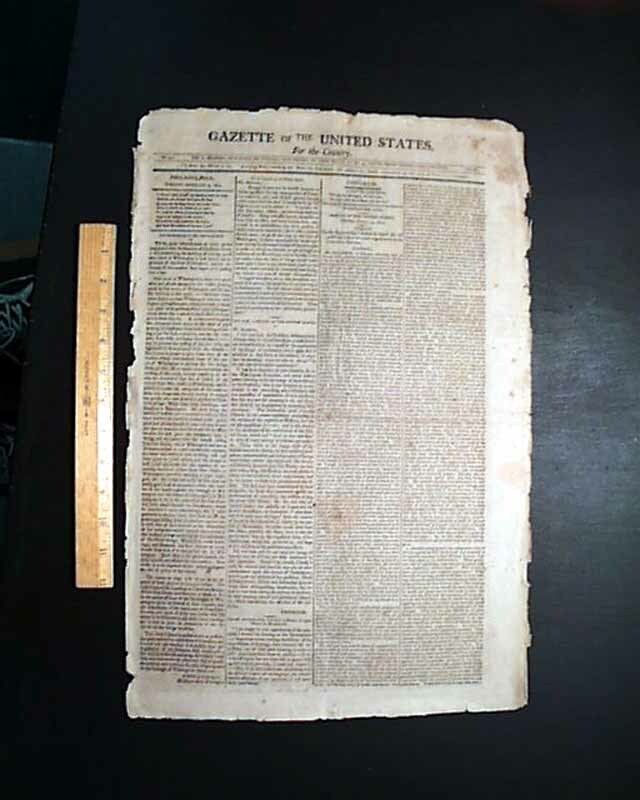 Item # 559604 (5) GAZETTE OF THE UNITED STATES, For The Country, Philadelphia, 1802-1803 A lot of 5 issues offering an interesting insight into the early period of the Jeffersonian era, as the government transitioned away from Federalist policy. Nice condition. The images show an example of the condition and look of the issues you will receive. Actual dates vary within the years noted.